Sterling and gold chain necklaces come in a variety of designs and are more popular than ever. They are a fashion accessory staple for both men and women. The designs range from chunky, open links to more sophisticated profiles. But do you really know what sets one apart from another? Can you tell the difference between a box and rope chain? Don’t feel bad. Most people realize there is a difference in appearance but aren’t aware of their unique characteristics. Whether you are buying a necklace for yourself or as a gift, it’s helpful to be able to identify different chain styles. Herringbone, a classic necklace chain style, consists of a sequence of flat, short and parallel links placed in an offset pattern. Herringbone chains usually feature two or more rows of links. This understated chain type lies perfectly flat against the skin and is a suitable choice for casual daywear or a conservative office ensemble. 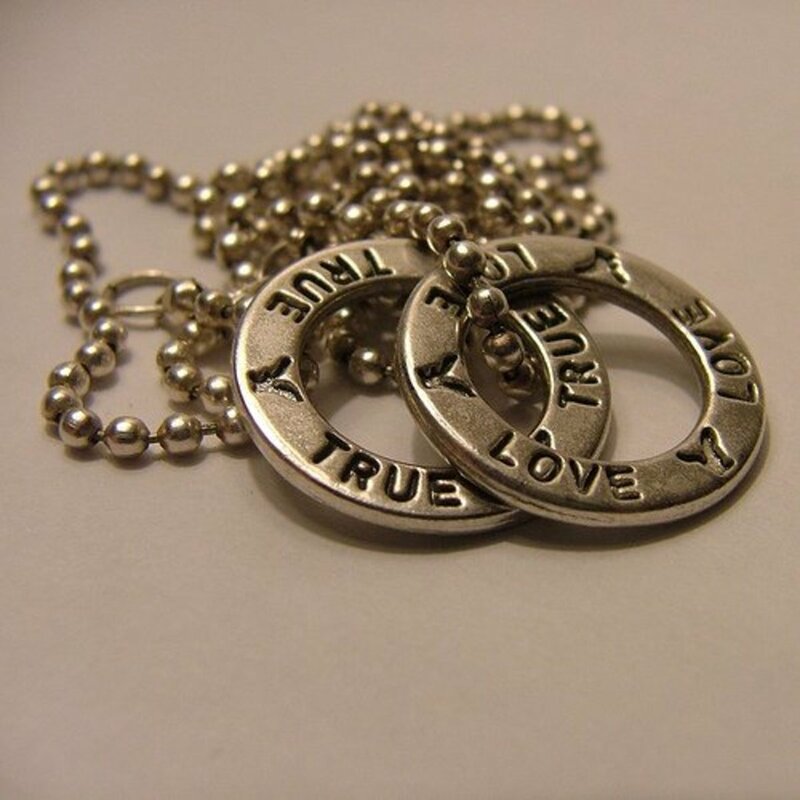 The bead or ball link style is similar to chains that hold military dog tags. 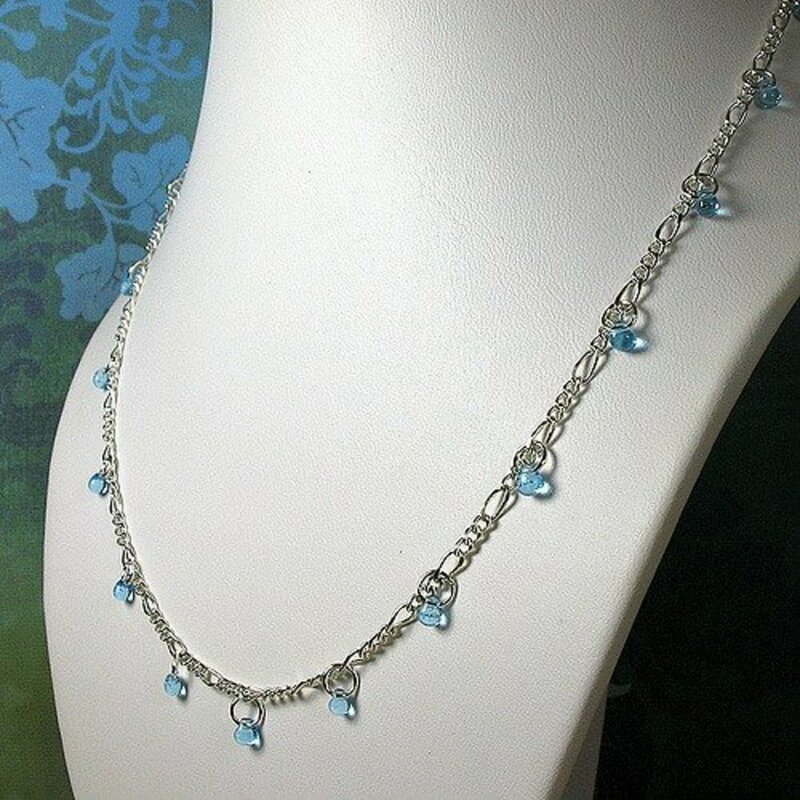 The bead chain features a simple string of silver balls placed closely together. 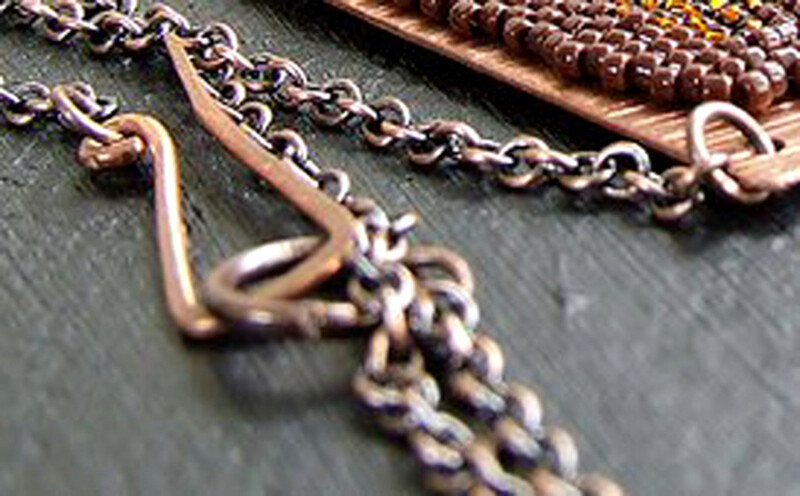 Chain necklaces can be long or short in length and often include decorative pendants. Bead chains vary in size from 2mm to 10mm. A graduated continuous bead chain provides a conservative look that mimics a pearl necklace. Box links resemble a series of wide, square cubes tightly connected to form a chain. Another name for the box chain is mirrored box chain. This chain style imparts a dazzling sparkle when its polished sides catch and reflect light. 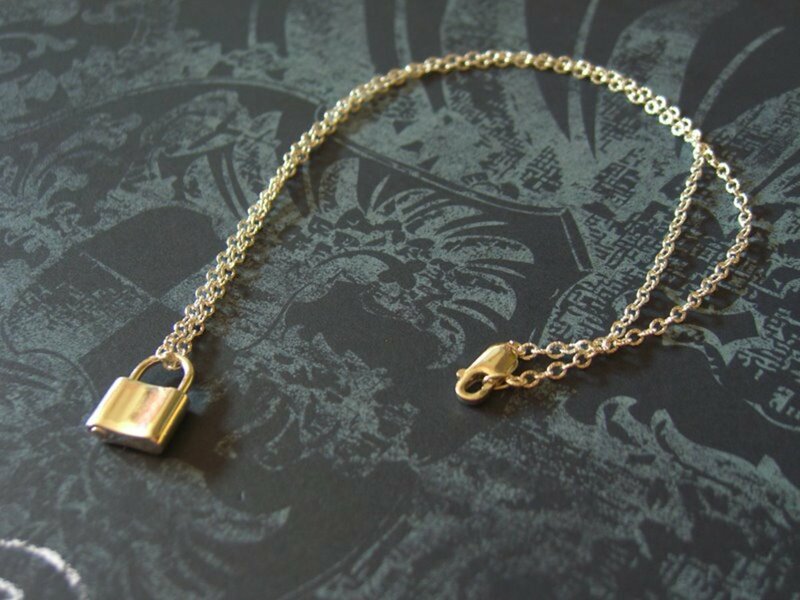 A box chain link looks great unadorned, but daintier versions work quite nicely with a pendant . This solid chain construction is extremely durable and will provide many years of daily wear. 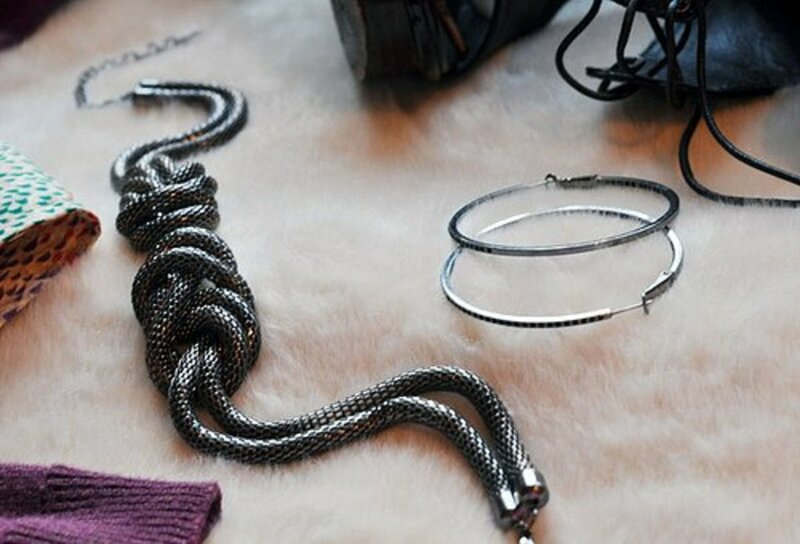 The rope chain resembles twisted cable. Two or more intertwined oval links comprise this spiral chain type. The rope chain link can be thick or delicate, depending on the size of the oval chain loops. Some rope chains feature a diamond cut that sparkles just like its namesake. Choose a diamond rope chain for a dazzling evening necklace. 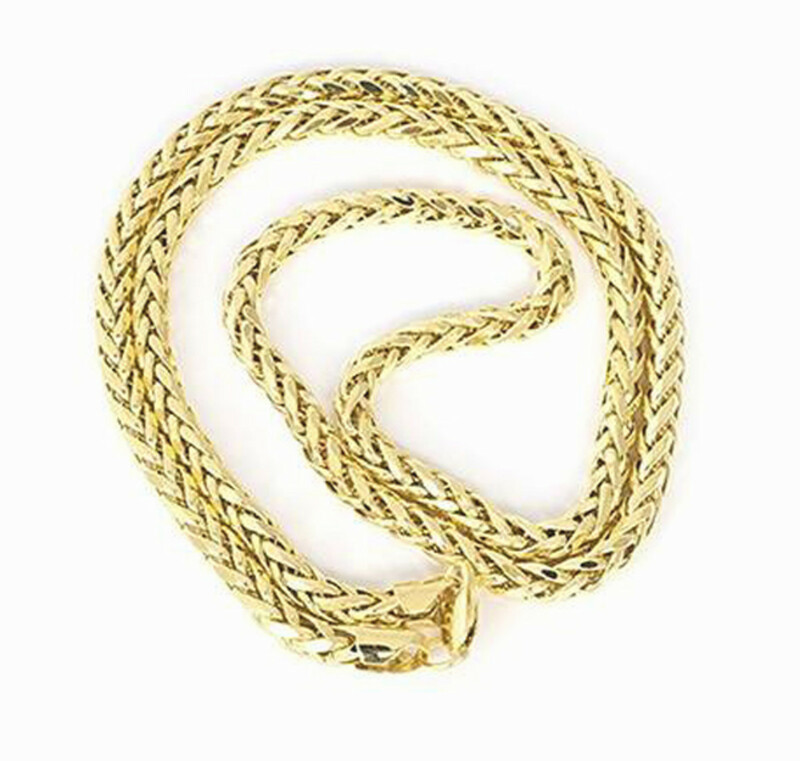 The Miami Cuban necklace chain link, also known simply as Cuban, features sleek lines with close set links that are slightly flattened. Men tend to prefer this heavy, yet elegant necklace style. However, smaller millimeter links soften the look and are equally appropriate for a women’s necklace. A snake link necklace features a succession of round, curvy metal rings that form a sleek, flexible chain. 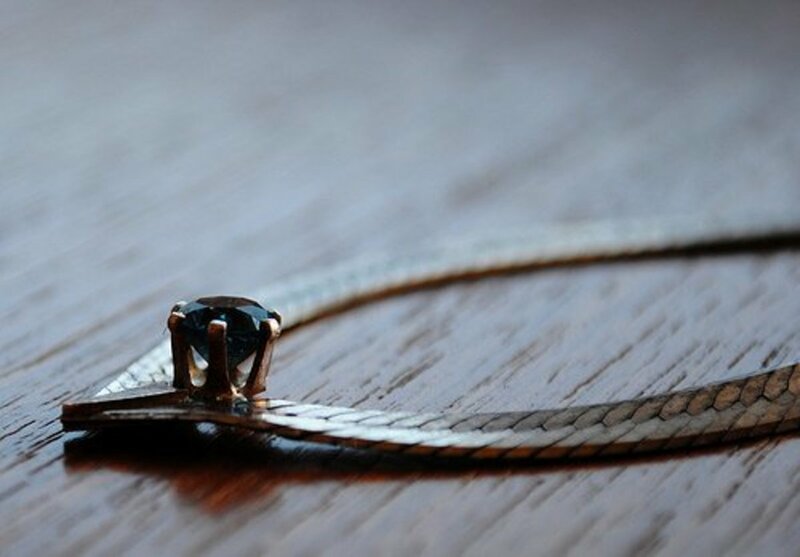 The smooth, shiny and bendable chain appears serpent-like–hence the name. Snake chain link necklaces often come with a slide pendant. Strength and durability make this familiar chain style a perennial favorite for necklaces. The simple design of the cable link necklace appeals to men and women alike. The classic oval or round rings intersect at 90-degree angles creating the chain. You may be familiar with this link style from chunky ID and charm bracelets. 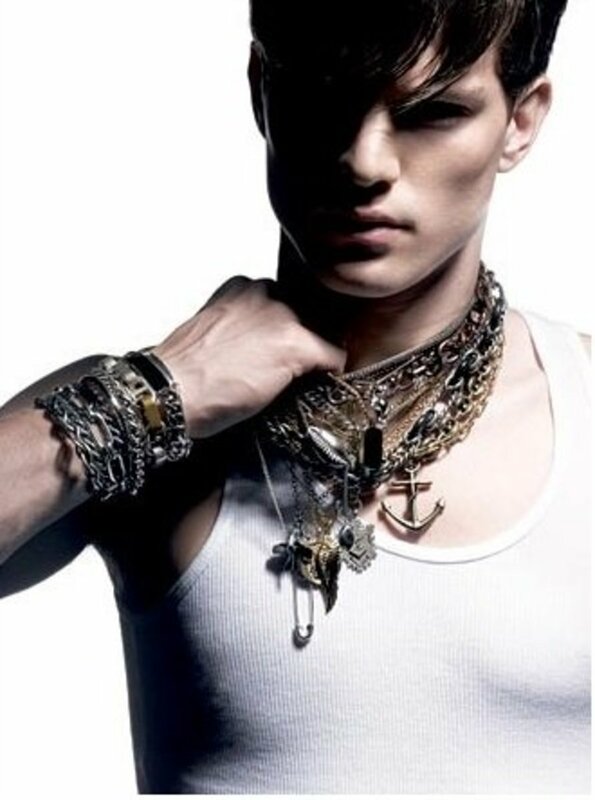 Men prefer the look of heavier weight cable necklaces. Delicate cable link necklaces designed for women can be adorned with a pendant or layered with other chain styles. Alternating circular and rectangular links make up the Italian Figaro necklace style. This design typically incorporates one long rectangle or oval followed by a series of three small round links. 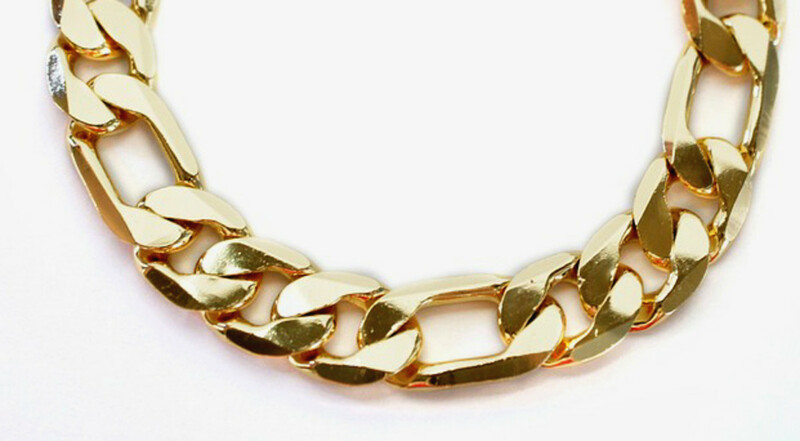 This chain style peaked in popularity during the 1990s, but still has a loyal following. The rolo is made up of a series of round interlocking links in an alternating pattern which gives this simple necklace an intricate appearance.The links are smaller in diameter and a bit thicker than that of a typical cable chain. The design is extremely durable and comes in a variety of sizes and designs. Anchor chains come by their name naturally. Also known as a marine chain, the nautical design is strikingly similar to ship's anchor chain. This type of necklace is made up of interconnected ovals that feature a bar across the center of each link. They either lie flat or alternate like rolo or cable chains. 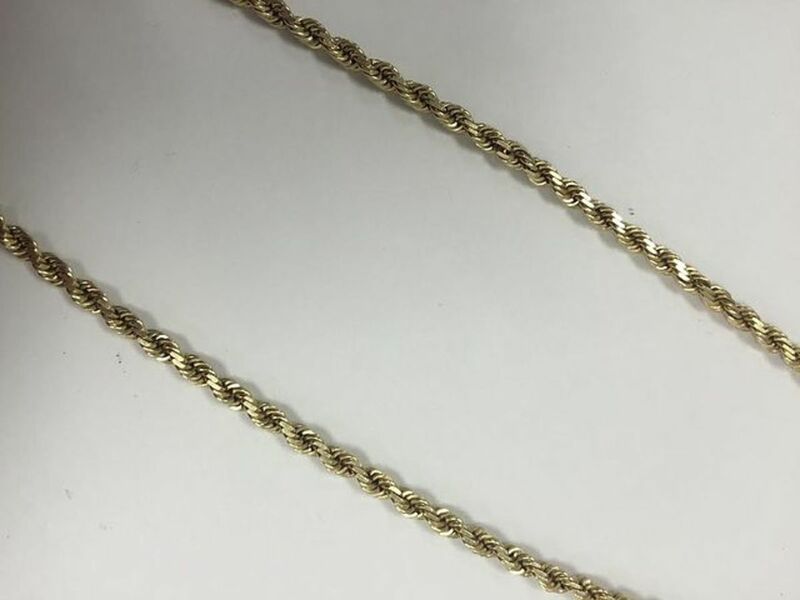 Created by a braided pattern of flat and twisted oval links, the wheat chain has a unique textural appearance different than most other necklace chain styles. The flexible weave forms what looks like the heads of mature wheat stalks. 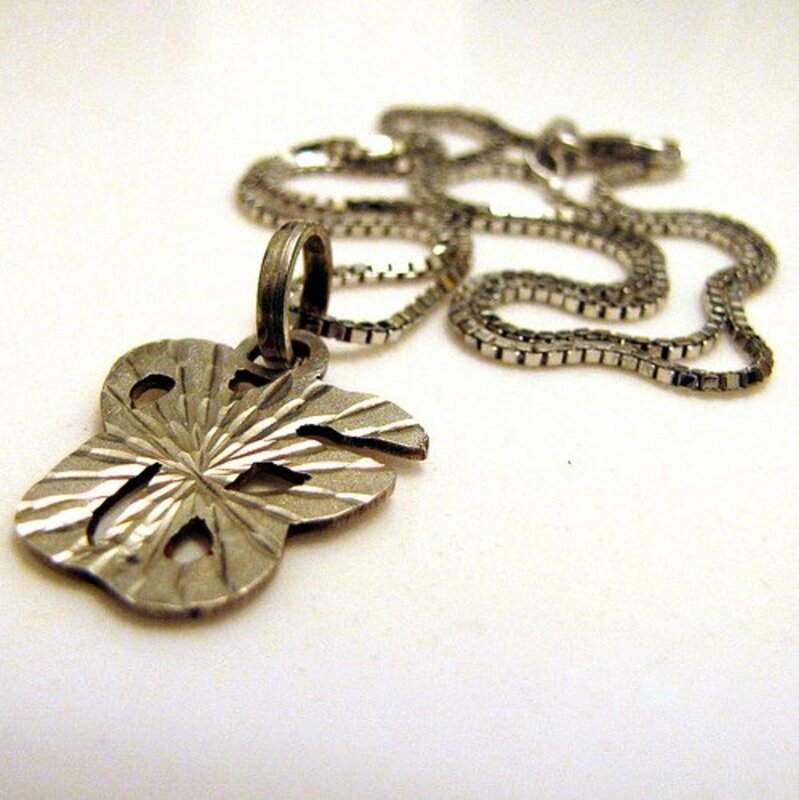 This chain is often worn alone to showcase its impressive decorative motif. Which necklace chain style do you like the best? All of them. 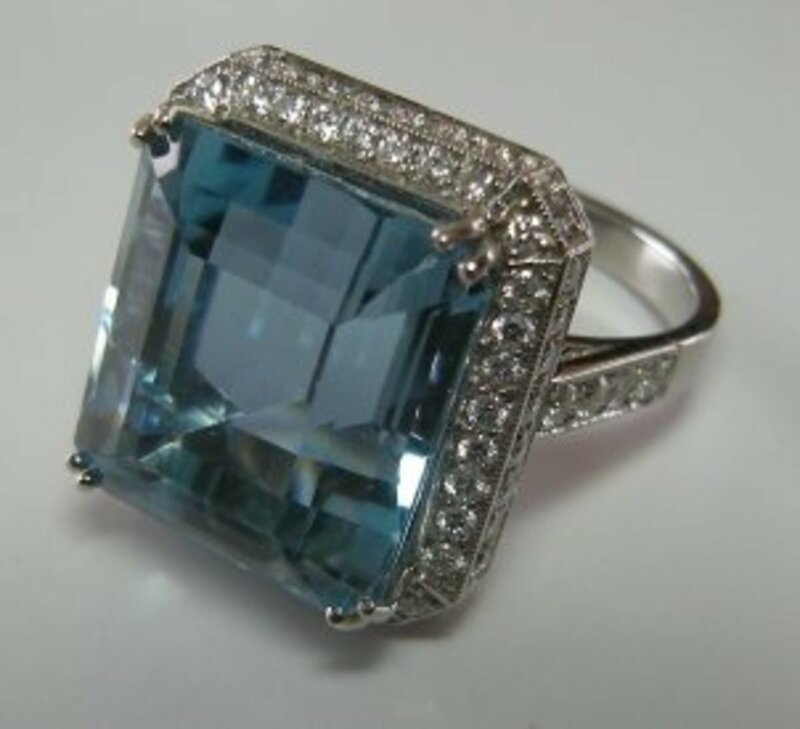 I just love jewelry! None. I'm not into personal adornment. Do you know of a chain link called Byzantine? I even heard them called super chains. A Byzantine jewelry chain has links that create a rope-like design with texture. It is very flexible and easily drapes around the neck. It is a 4-in-1 chain which means each link passes through the others. It is similar to the box chain but the Byzantine links are alternate instead of fixed in the same direction. How do you weigh gold and determine worth? To determine the value, look online for the current price of gold per ounce and multiply by it the number of ounces that will give you an approximate value. There are 31.1 grams in 1 Troy ounce of gold. To get the price per gram you must divide the price of gold per ounce by 31.1. Fabian glad you like the figaro (at least that is the one I think you meant.) All of the necklace chains are beautiful but I do like some of the chunkier styles. Thanks for stopping by! Leah, the rope is a nice design and they come in more delicate weights. Thanks much for reading and commenting! I didn't realize there were so many necklace chain styles! I prefer the rope style personally, though I like delicate jewelry. Hey, Lindacee! I love this hub post. Thanks for the descriptions and style references. I see that many of the readers prefer the herringbone, my favorite. Voted up. Great hub Linda! There was a couple I didn't know so I learned something! K, I too am glad it fetches a decent price these days! ;) So pleased you enjoyed the Hub! Glad I could help, Om! Yes, these are some of the most common necklace chain designs. We instantly recognize them when we see them, but putting a name to them does help! Angela, there are so many more, but I wanted to keep the Hub to a reasonable length. May have to do a Part 2! Good to hear from you! It is always gratifying to know I've shared info that benefits readers! :) Thanks! Yes, Qudsia and I didn't even have a chance to touch on all of the different styles! So happy you enjoyed reading this Hub! Thanks for commenting! I had no idea or perhaps never even thought of chains in that detail. It never occurred to me that they may even have names.